We are fast approaching the biggest gift giving day of the year!! 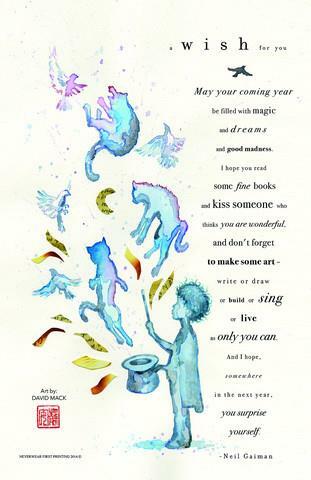 Are you ready to give the writers in your life something they will love? Last week, I gave you a bunch of ideas and the list kept growing. 🙂 If none of those struck the right chord for you, how about one of these gifts? This year, my wonderful husband upgraded my MacBook for me for Christmas! As a lifelong PC user, I was nervous about switching to a Mac for my writing, but it was the best decision I ever made. Gone are the hours waiting for the Windows updates to load. Gone are the slow downs caused by any number of virus-type cookies etc that seemed to always bog down our computers no matter how lean and mean we kept them. Team the Mac with Scrivener and you have the best possible tools for your writer! Scivener is the most elegant software for writers that I have come across. Though inexpensive, especially when compared to Office, it is rich in features. I will admit it can be a smidgen intimidating. When I first opened the program, I didn’t even know where to start! So a class will help your writer understand the features and learn how to best format their virtual writing workspace for their needs. Gwen Hernandez is the Scrivener guru. Check out her website for upcoming and affordable classes, or order her book, Scrivener for Dummies. 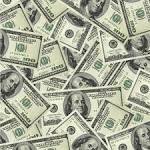 Cold hard cash is always an option, and you can make it more personal by including a little note saying it is for the next writer’s conference or for editing services. If you writer is like me, travelling to a conference is a daunting idea. Check out WANACON, the first ever completely virtual online writing conference that takes place in February! I have attended the last two years and was blown away by the quality of the speakers and the comradery despite the attendants being strewn all over the world. There are many free-lance editors to be found through internet searches, WANACON connections and online writer’s groups. I have worked with Candace Johnson at Change It Up Editing and couldn’t be happier. Some writers prefer to work in silence, but sometimes you need appropriate background music to get in the mood! 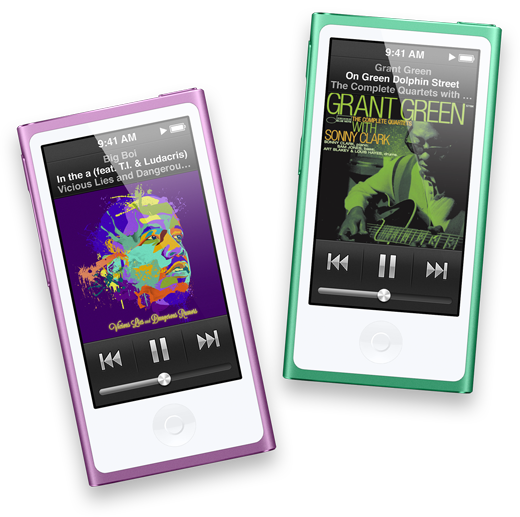 An iPod or iTunes gift card will help your writer keep a music library with all the right songs for their epic story. I am always finding inspirational quotes and taping them up near my computer. 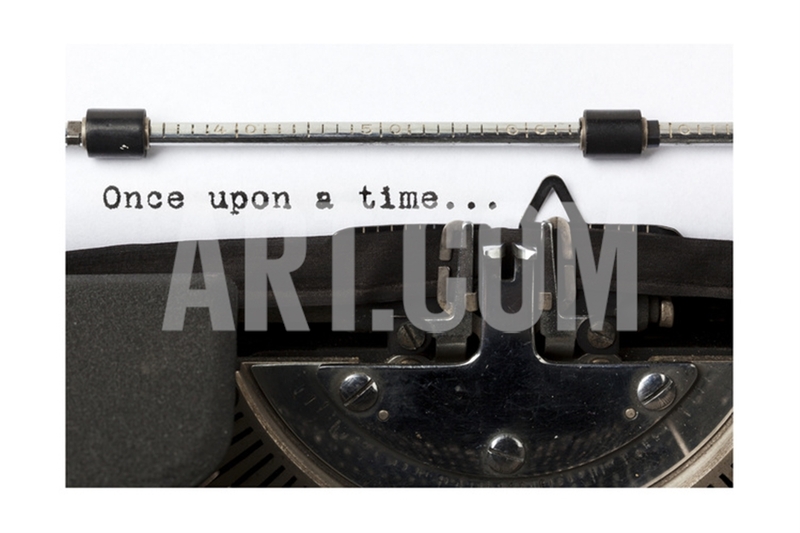 Perhaps your writer would like an inspirational poster to decorate their space. Check out the one above from Art.com. You can even order it in a giant 54″ x 36″ size to fill the wall! 🙂 Some of the others that grace my writing space are this one from NaNoWriMo. Most writers are big coffee or tea drinkers. 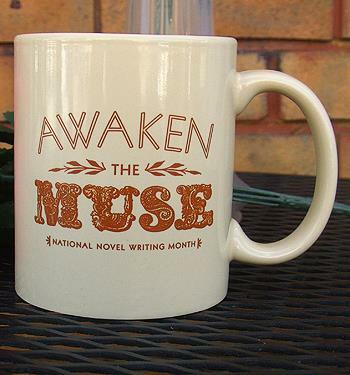 So writerly mugs are always a popular choice. I have so many writing mugs that our cupboard is overflowing with them. What can I say? They make me happy. 🙂 This is the newest one from NaNoWriMo! 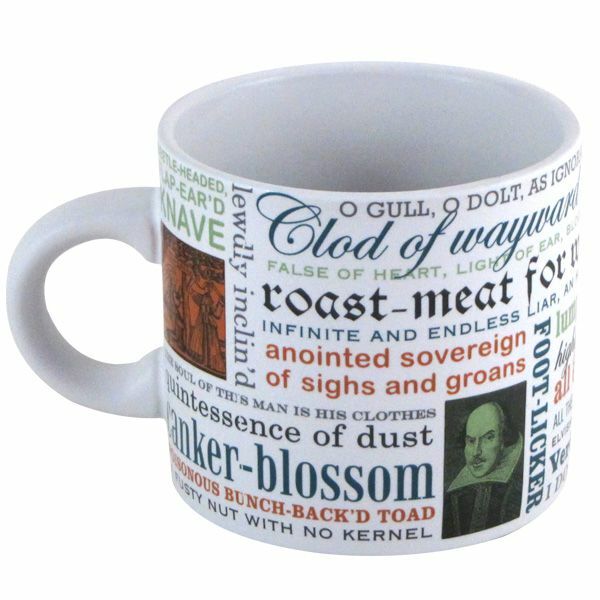 Another great mug that is currently on my wish list is this one. Gotta love Shakespeare’s insults! Magazine subscriptions are always a good option. Writer’s Digest, The Writer, Glimmer Train, Poetry – It all depends on what your writer likes to write. 🙂 Give them a dose of inspiration in their mailbox every month! The bible for submission is Writer’s Market. These books come out every year and list publishers, magazines, agents and anyone else who might be of interest to a writer seeking publication. You can get a general Writer’s Market, or one specific to a type of writing like novels and short stories, children’s books, poetry, songwriters and so on. You can also get them a year’s membership to the Writer’s Market website which is filled with even more information! Another great gift is a membership to Writers Village University. Over 200 online writing courses for $99 per year (new members) or $69 (renewal rate)! Classes are either taught by an instructor or done as a peer group. They offer courses in everything from character development, writing memoir, screenwriting, comedy to grammar, punctuation and time management. 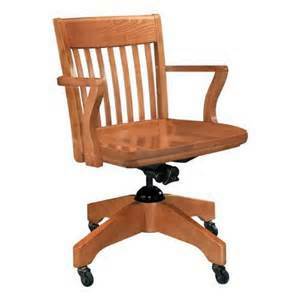 What writer wouldn’t love a new writing desk and ergonomic chair!? We don’t want your writer to have to deal with aches and pains gained from sitting with poor posture. If writing hurts, they won’t want to do it! 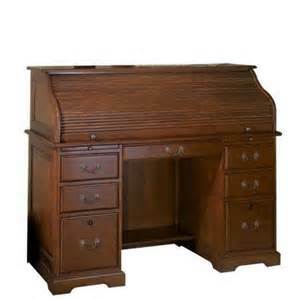 I would love to write on a lovely rolltop desk with a rounded back banker chair. It may not be ergonomic, but it looks writerly! Lastly, an iPad is a great tool for goofing off for doing quick research without having to leave your manuscript. 🙂 I have used mine many times while working on a rough draft or edit. Plus, when not in use for research, it makes a great tool for building and maintaining your social media platform! 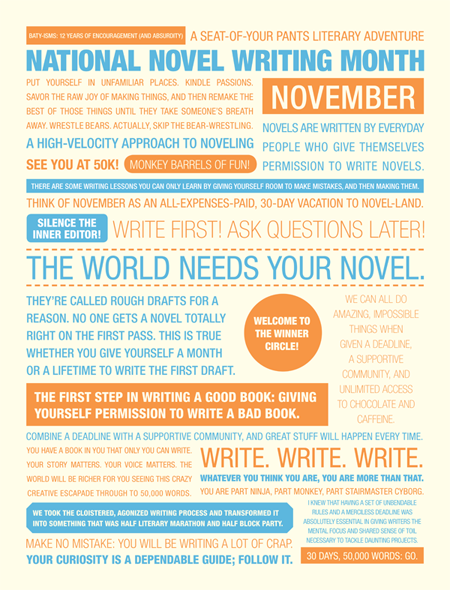 So there you have it – even more awesome ideas for yourself the writer in your life!! Merry Christmas! !